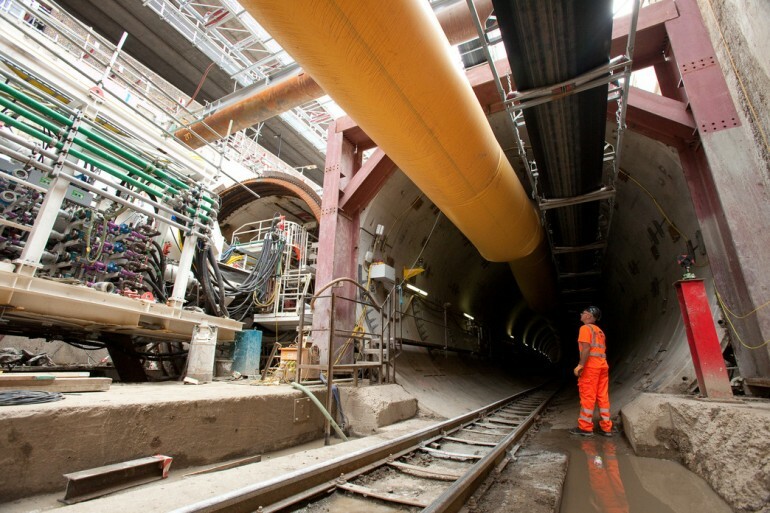 Managing the effects of construction - Crossrail . For information about the Elizabeth line please visit the Transport for London website. The Crossrail works are complex and of a scale not seen for decades and have required careful management. The key aims are to minimise disruption to local residents and businesses, reduce the impact on the road and transport network and to keep people informed. The Crossrail Act 2008 gave the powers to build the railway. It also established the formal standards that the construction process must stick to. These are explained in Crossrail’s Environmental Minimum Requirements and the Construction Code. At every site Crossrail liaises closely with local authorities, local representatives and other interested groups to manage and minimise the effects of construction. Each of our contractors employ community relations representatives who distribute information about the works and provide a first contact for local communities. Crossrail’s Helpdesk on 0345 602 3813, available 24 hours a day, 7 days a week, also provides answers to questions and act on complaints from members of the public. They work alongside contractors to speedily resolve any problems that might occur. In addition, the independent Crossrail Complaints Commissioner will decide on any complaints about Crossrail construction that cannot be resolved. Crossrail also publishes a series of information leaflets that cover noise insulation, ground settlement and the damage claim process. These can be downloaded below.